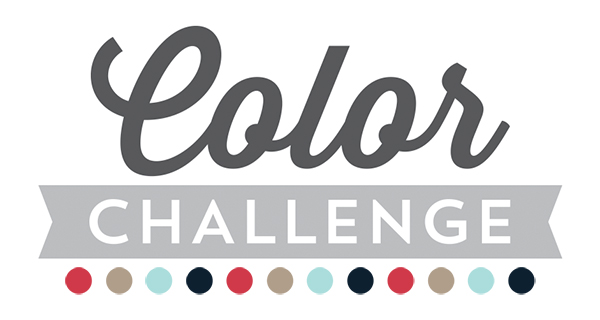 It's the 2nd Thursday of the month which means it's time for another MFT Color Challenge! Say hello to this fresh color combination with shades of blue and a punch of crimson— Cherry Crisp, Kraft, Sno Cone, and Nightshift Blue. 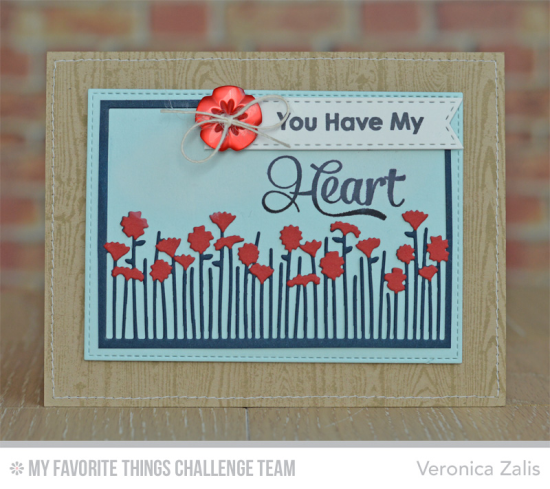 Your MFT Challenge & Inspiration Team was certainly inspired by these four colors. Let's see what they've been up to! 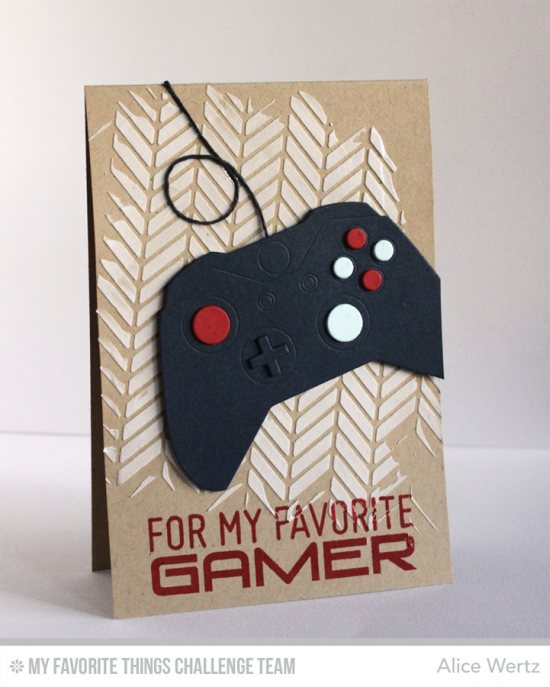 Alice created awesome and edgy texture on this masculine card. Erin Lee combines the Ride the Wave Die-namics with stars resulting in graphic goodness. 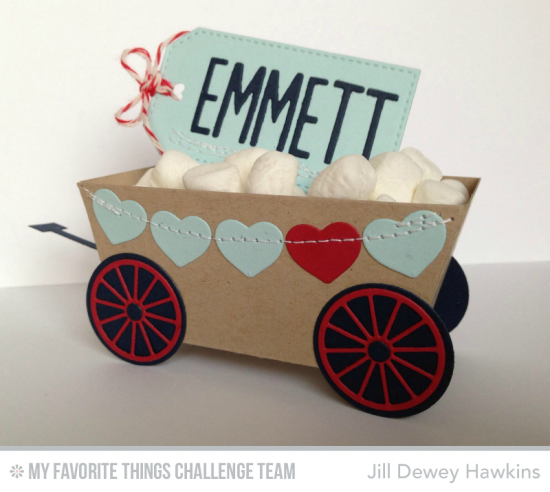 Jill opted for a treat container in this cute little wagon. The blues are great for little boys, don't you agree? Miriam combined the colors using the Straight to My Heart Die-namics. Just LOOK at that steady-handed stitching! Vera managed to get all of the colors on her focal point clipboard. Notice how she used the Gallon/Quart/Pint rule for color. She used a "gallon" of Sno Cone, a "quart" of Cherry Crisp, and a "pint" of Nightshift Blue. Learn more about this balanced use of color HERE. Veronica's labor of love using the Wildflowers Centerpieces Die-namics results in a feminine field of pretty flowers. 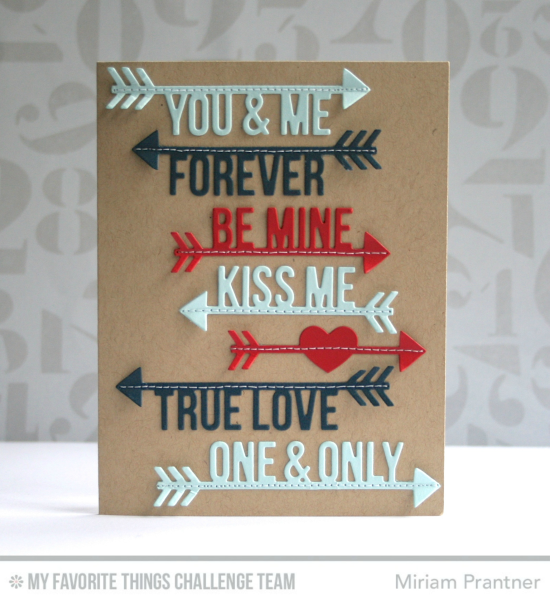 The wood textured background adds to the theme, and the stitching is the perfect final touch! You have until Wednesday, February 25, at noon EST to add your link and be eligible for the prize of up to $20 in MFT Cash. Winners are chosen at random, so everyone has a chance! The prize is a $15 Gift Voucher to My Favorite Things, but if you use MFT stamps and/or dies in your project, you’ll receive an extra $5. Congratulations, DJRants! You are the randomly selected winner of the MFT Color Challenge. You can view all the entries from the last challenge HERE. What will you create with this fun foursome of hues? Again, these are all lovely. I am NOT one for picking favorites. But, Veronica, your card is amazing. I spend Spring until Fall out in our flower gardens. So yep, I'm a flower/nature geek. 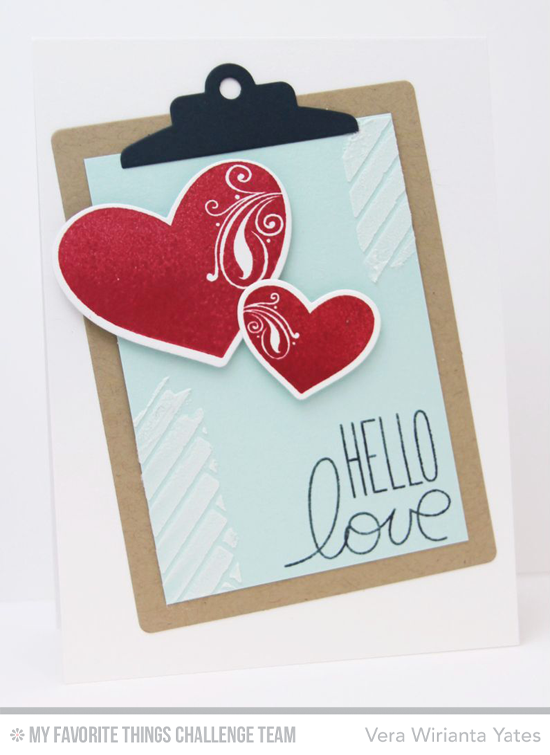 Beautiful color combo and LOVE the samples....great job DT! Love the new color combo--thanks for all the inspiration, DT! 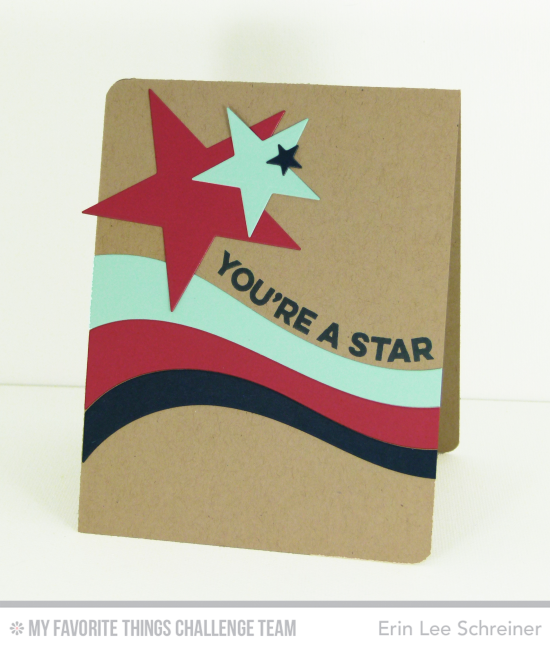 And thank you so much, Susan, for leaving me a sweet comment on my last color challenge card--so much appreciated!